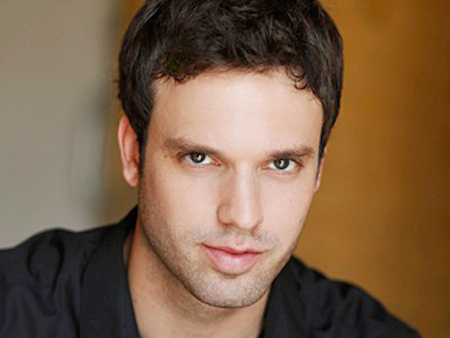 One of Canada’s most popular young actors, former Degrassi star Jake Epstein has spent the past few years working in film (he had no fewer than five films premiere in 2015), television (he had a memorable turn in Remedy‘s final few episodes) and on Broadway (he originated the role of Gerry Goffin in Beautiful: The Carole King Musical). But it’s as a writer that he earned his first MyTheatre Award nomination, for co-writing the Outstanding New Work– nominated holocaust drama Therefore Choose Life with his mom Kathy Kacer. I’m not sure if this was my first, but as a kid, my parents would drive my sister and I down to New York every Summer to see a Broadway show. I remember being blown away by what I saw and bonding with my family over the experience. 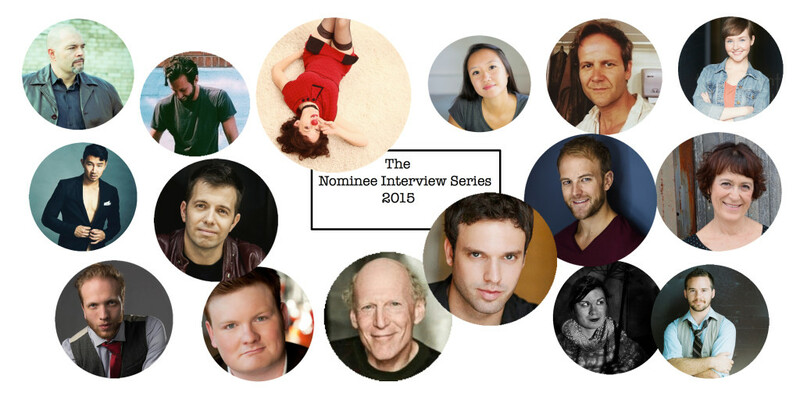 What writers and performers have always inspired you? I have always been obsessed with 60s and 70s rock and folk songwriters. Until about high school, I never listened to anything but the Beatles, Dylan, James Taylor, Paul Simon and what I loved about this music was the poetry. They all had this incredible ability to convey extremely complex emotion using very simple words and I’ve always thought about that when I write. The first play I ever wrote was part of my high school’s One-Act Play Festival. The play was about a boy who believes he is the re-incarnation of John Lennon. He ultimately leads his school in a big controversial protest against George Bush and the Iraq War and ultimately gets shot by one of his obsessive protestors. Your mom (and co-writer) Kathy is an author of children’s and young adult books. Were you raised on her stories? My mom didn’t actual start writing novels until I was a bit older, but I was definitely raised on her stories and her love of great storytelling. Where did the idea come from to write a play together? I had started writing in theatre school and was looking for my next project. At the same time, my mom was really interested in writing a play. When we started talking about this particular story, we knew we had to try to create something out of it. We had heard of several instances of survivors who had lost their spouses in the camps, remarried, and then discovered years later that their lost loves were in fact alive. I just thought this was the most extraordinary dilemma and the choice that our central character ultimately makes in the story is so painful and also filled with so much humanity. This all resonated with me so deeply and I thought it would resonate with other people too. How did your mother/son dynamic come into play in the writing process? Well, we’re still talking! So that’s a good sign. No in all seriousness, I was very wary of writing with a parent, but as we started plotting out our structure and characters it became evident that we would be able to collaborate effectively together. Did you divvy up the work and trade notes or collaborate closely on every aspect? We did versions of all of those things. Did you always intend to play Sam or was that a decision that came later? I didn’t intend to play Sam when we wrote the part. But I was always aware that a lot of the character came from my own experiences and my own quirks. As we continued to develop the play, I was asked to read the part for workshops and it became clear that acting professionally in a piece that you wrote was a once-in-a-lifetime opportunity. But I will say that I would not have done it if I were the sole playwright on this project! How did your role as playwright come into play in the rehearsal room with director Rachel Slaven? Rachel was fantastic. It was overwhelming at first to be wearing the actor and playwright hat at the same time, in a new piece. But Rachel helped me multi-task. I was an actor in the rehearsal room, and then a playwright afterwards when we’d be reworking scenes or moments of dialogue. Was the final product very different from what was originally on the page? I can’t remember what was originally on the page but I think the final product was similar enough. Each actor in the cast certainly added to the final product and brought something unique to the part that may not have been on the page. 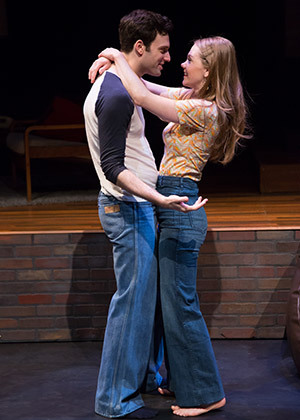 In the play, Sam has a very complicated relationship with his father. I loved all of my scenes with Avery Saltzman, who brought such strength and pain to the part. You’ve written with your mom and performed with your sister Gabi. Do you have any more family collaborations planned? I’ve got a couple cousins who are musicians . . . so stay tuned! You’ve been working a lot in New York recently. Are you interested in working more in the States or staying mostly in the Canadian industry? My dream is to do both. New York is certainly one of the theatre capitals in the world and there are a lot of incredible opportunies there. And at the same time, I feel like Canada, and Toronto in particular, has evolved into an extremely meaningful theatre-town. Toronto will also always be my home, so I do want to continue to work there as well. When Degrassi fans stop you on the street, what’s the most common thing they ask you (other than “are you still friends with Drake?”)? I’m currently rehearsing a new Off-Broadway play in New York called Straight, at the Acorn Theater. It’s about a closeted man, in a post-acceptance society, that doesn’t want to be labeled as gay. He finds himself in an emotional ponzi-scheme with his longtime girlfriend, and a younger guy he meets online. My mom and I are both so grateful to be nominated for Therefore Choose Life! Thank you for the honour!